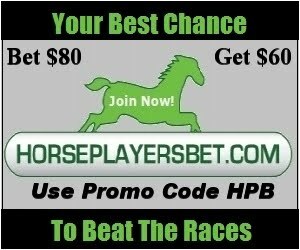 For once and for all, new potential horseplayers and fans are not staying away from horse racing because the gambling aspect of it is too hard to understand, or because of drugs, and certainly not because of racetrack jargon. I think I was 4 years old when I figured out win place and show, maybe I was an exceptionally smart four year old, but you get my drift. I could also read past performances when I was 8, it isn't rocket science. I also don't think that there is a wager easier to understand than win place or show other than coin flipping or roulette, which I think is just as easy to understand. I'd even state that slots is harder to figure out than a show bet. Understanding a horse race bet is even less complicated than betting against a point spread or playing craps. One doesn't even need a Trump U. diploma to figure out how to an exotics wager works either. It is a matter of wanting to figure find out what a superfecta is, not how a superfecta works, and we'll get to this difference shortly. When it comes to drugs, I don't believe it stops anyone other than animal cruelty warriors, and they would stay away even if horse racing was drug free because horses do break their legs no matter what. The perception of drugging horses as well as potential rigging has always been there, but lets face it, horse racing was a lot more popular and mainstream in the 40's to 60's than it is today, and getting new players involved was much easier back then. Other sports have had their fixing and drug scandals, but popularity for most of these sports have become much stronger as the years go on. And then there is jargon. Jargon doesn't keep anyone out. All sports have words unique to them, and even a life long sports fan and sometime participant like myself still has trouble figuring out exactly when a balk in baseball or when a zone defense technical in basketball should be called. I'll leave figuring out that stuff up to the umps and refs and still enjoy the game, of course, I'll enjoy the game much more if I have at least one fantasy player participating. As for keeping newbies from getting involved, not knowing what a bug boy is is like not knowing what a sophomore pro is. Does not understanding what a sophomore is keeping any newbie away from football or basketball? Nah, what keeps new participants away from horse racing is that even if they are drawn to looking these days, they have no interest in learning more. The simple reason is that there is no buzz when it comes to long term winning gamblers. Yes, there is a learning curve, but it isn't anymore difficult than the learning curve for playing fantasy sports. Today's millennials are gambling. They also like skill games. They'd be perfect for horse racing except one thing, they need the right motivation to learn about horse racing, and that motivation would exist if horse racing was perceived as beatable in the long term. The collective average takeout of 21% is twice as a high as it is needed to be in order to grab substantial new players. Until the industry wakes up and revamps takeout, there are a few band aid solutions that might keep the ship from completely sinking. One is to go after established horse players aren't playing because they don't have access. It is mind boggling that residents of Texas, Georgia, Mississippi, Hawaii, the list goes, cannot bet on horses over the internet. Horse racing needs a lobby group that tackles this specific issue. Handle could rise another 33% if these dry states allowed their adult populations to gamble if that is the adult's desire. It makes no sense that someone in Dallas can own an assault rifle but can't bet $2 to show on California Chrome on the internet. The second suggestion is to get more eyes on the product (though, as stated above, even with more eyes on horse racing, it is near impossible to get the eyes to stick due to pricing). Besides another Triple Crown winner, horse racing should try to take advantage of the word trifecta, a word that has made it big time in the mainstream. Trifecta originated in 1974 when it was strictly a horse racing term (simply and evolved variation of perfecta). Today, a day can't go by without either hearing the word on TV or reading it in the news, and not very often is the word used with respect to horse racing. Check out the Google News Search of "trifecta." Now check these seven "trifecta" quotes out, none have anything to do with horse racing. So what should horse racing do? Promote the heck out of the trifecta. Focus on the bigger payouts. House handicappers should focus on the tris. Lower the takeout on trifectas, make it the bet for the millennials. And to Woodbine and all the rest of the Canadian tracks, change the name from triactor to trifecta. Triactor is strictly a horse racing term, and it means a wager with a takeout of 25-29%. Not very attractive, not a great sell.